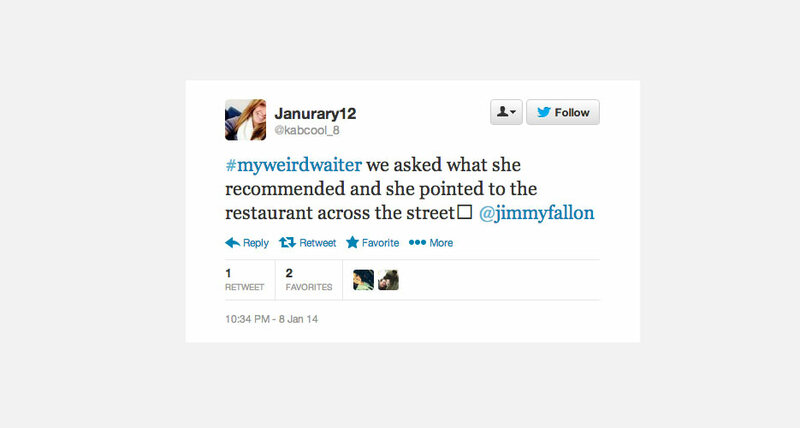 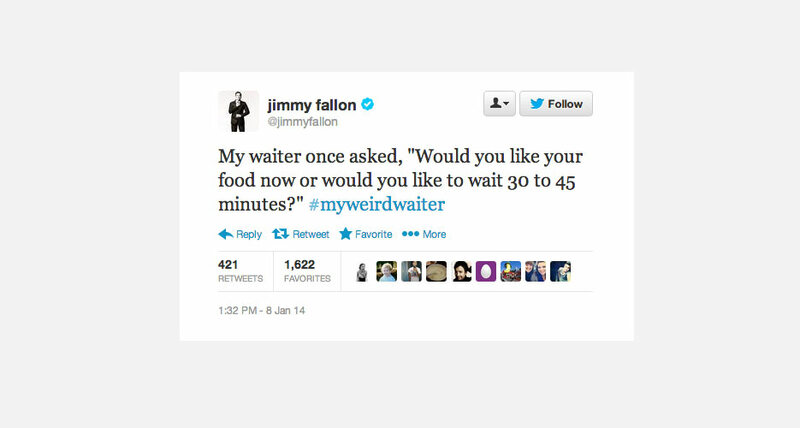 Jimmy Fallon ingeniously asked his Twitter followers to tweet about their encounters with weird waiters using the hashtag #myweirdwaiter. 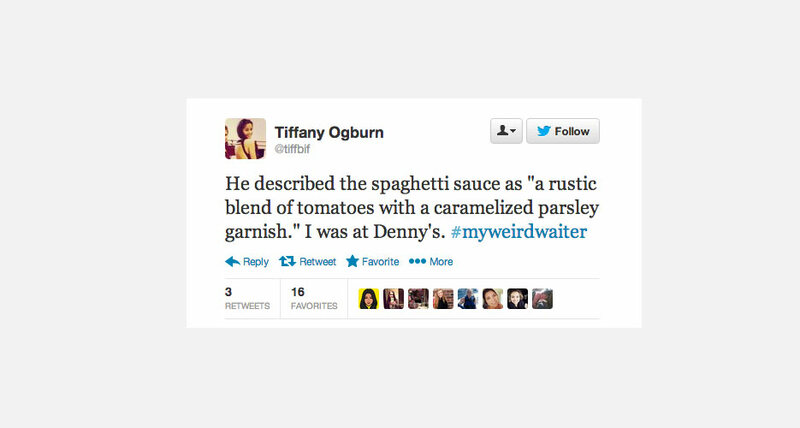 The hashtag quickly became a trending topic—like, within a half hour of its creation. 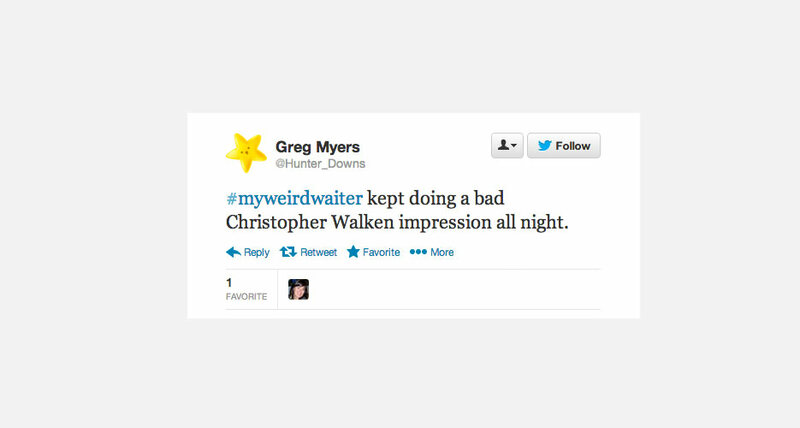 Apparently, people like to be brutally honest about the bizarre waiter behavior they’ve experienced. 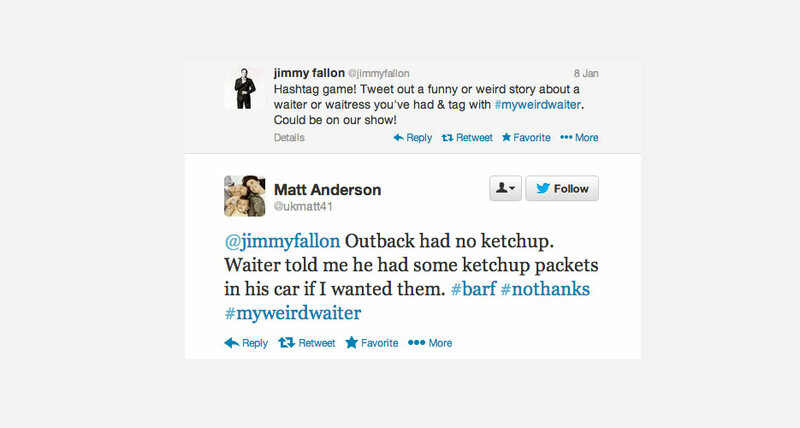 Fallon read some of the hilarious tweets last night on his show, which you can watch below. 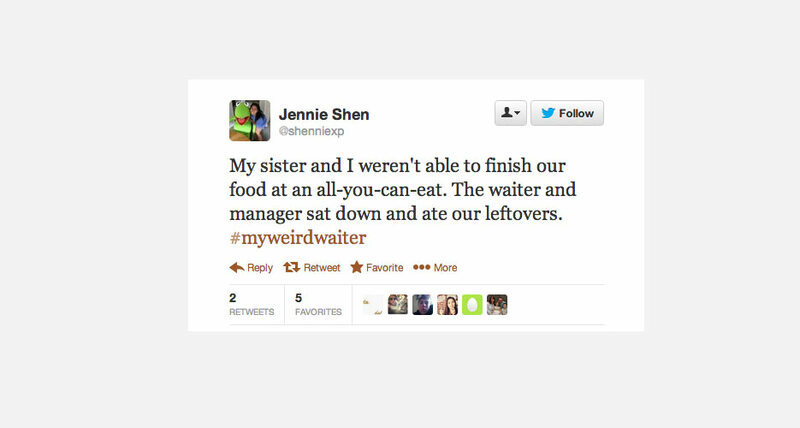 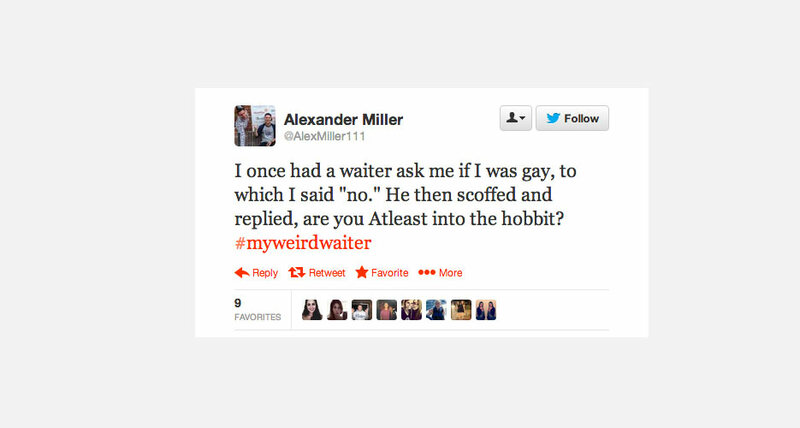 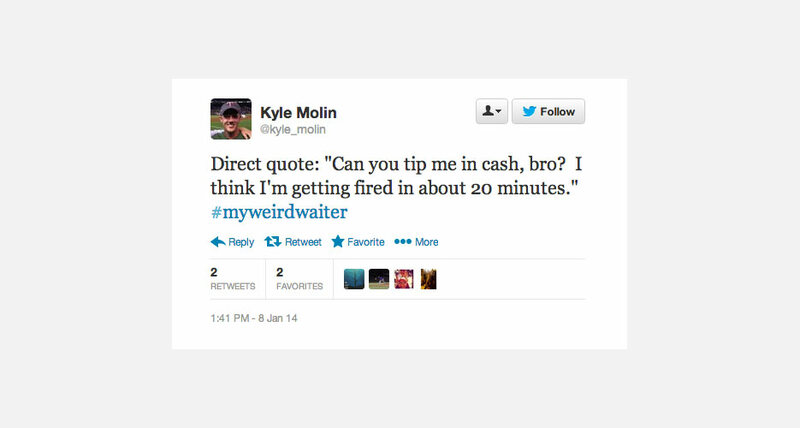 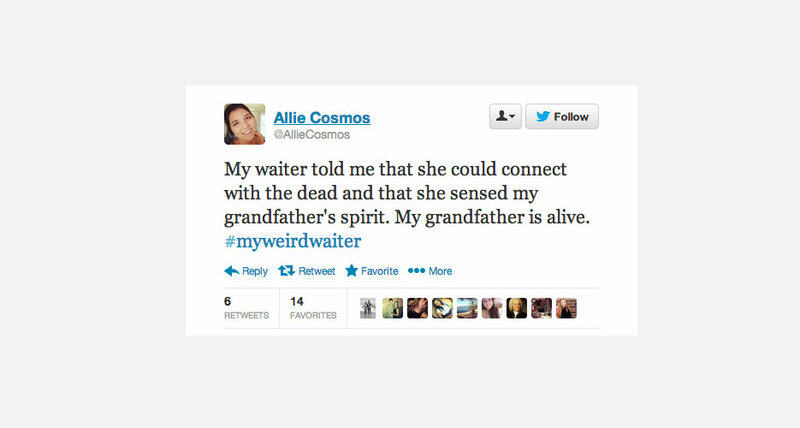 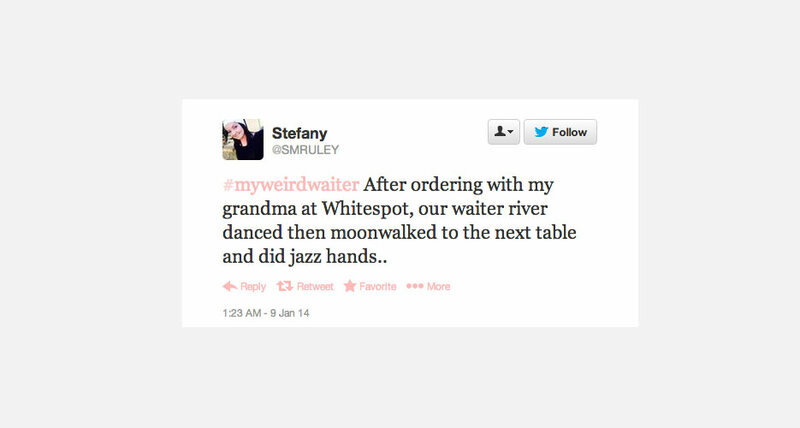 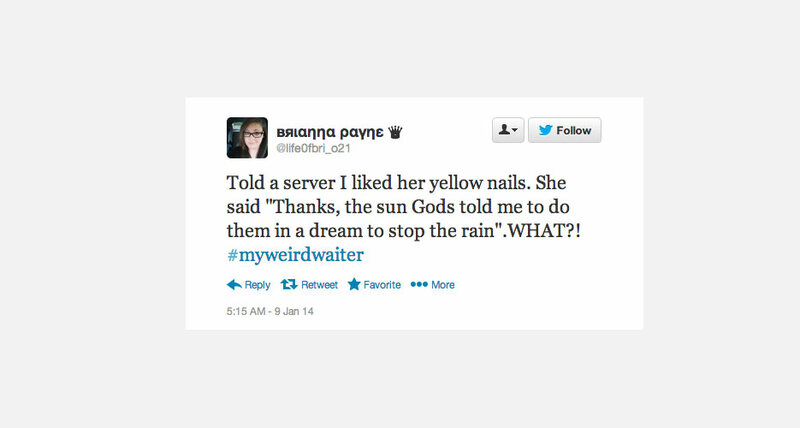 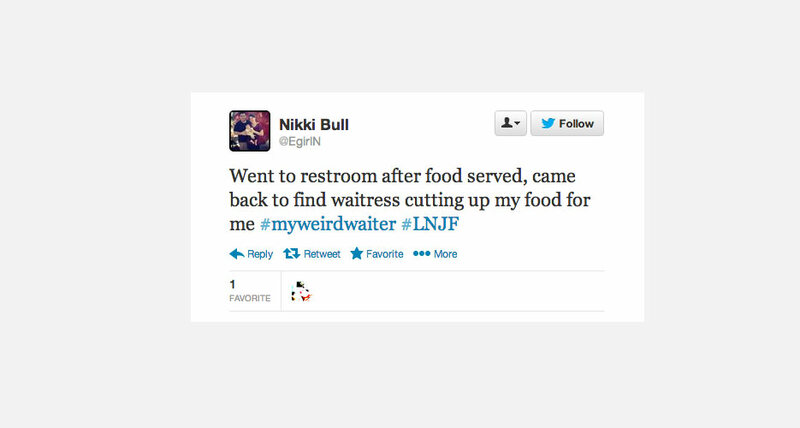 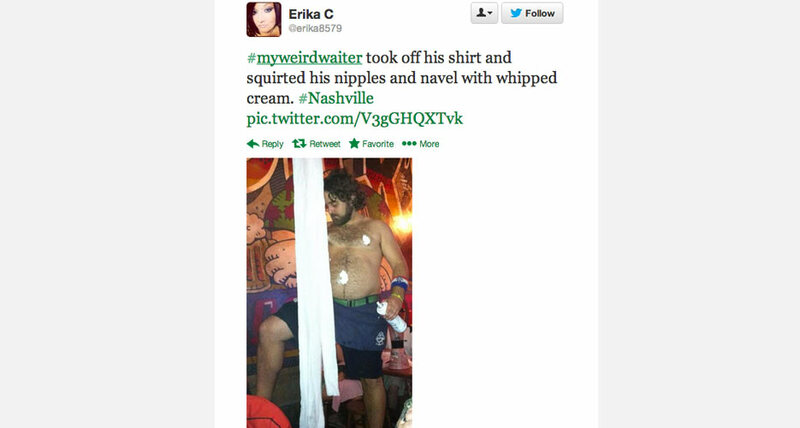 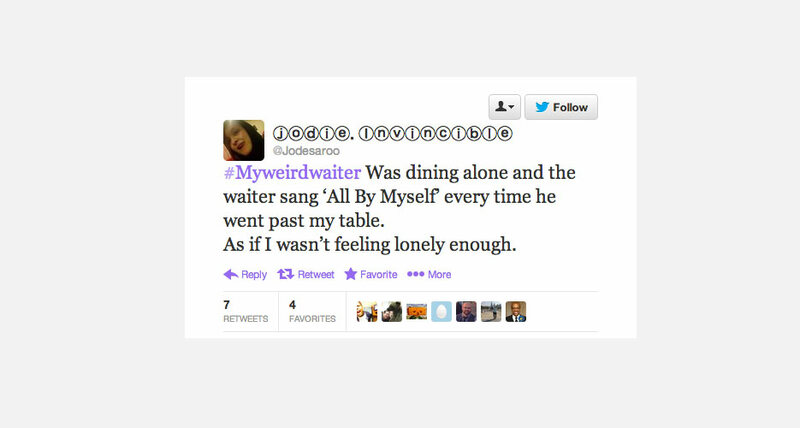 Click through the gallery for the 14 greatest #MyWeirdWaiter tweets.